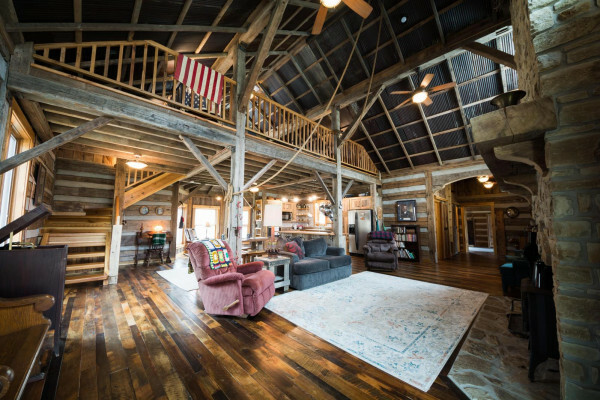 The massive 22’ tall Brown County stone chimney is the centerpiece of the 30’ x 30’ vaulted ceiling great room. 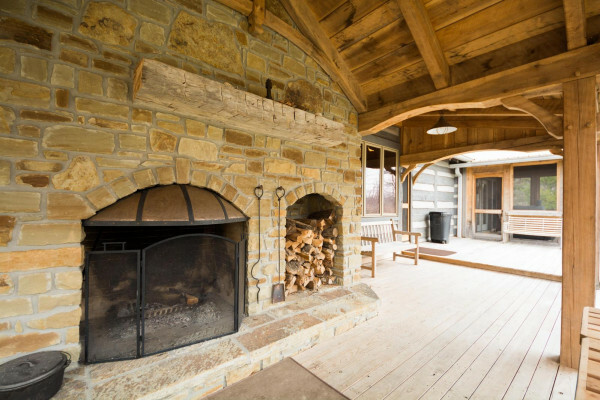 On the inside is a wood stove and a pizza oven and on the outside under the covered porch is an open fireplace. 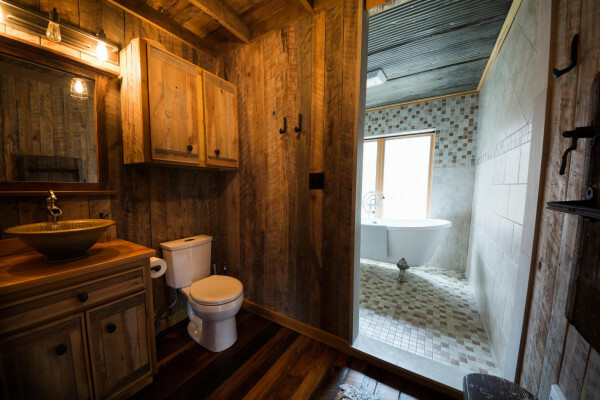 All the doors and drawers have their handles and hooks made from reclaimed railroad spikes. 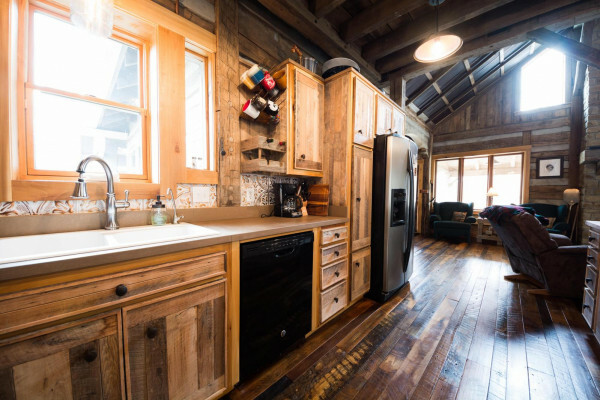 The kitchen countertop is made from limestone quarried near Nashville. 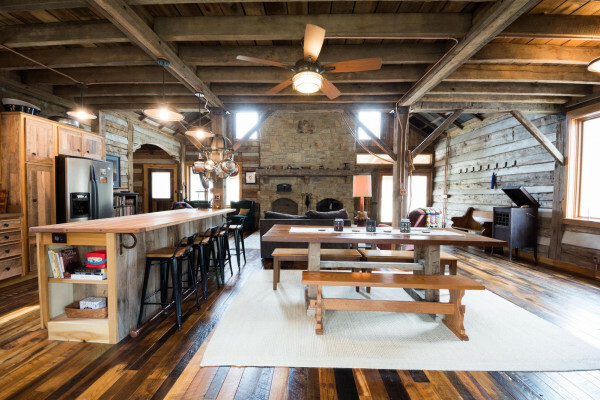 The dining table was built from a 150 year old walnut tree harvested right here in Brown County. 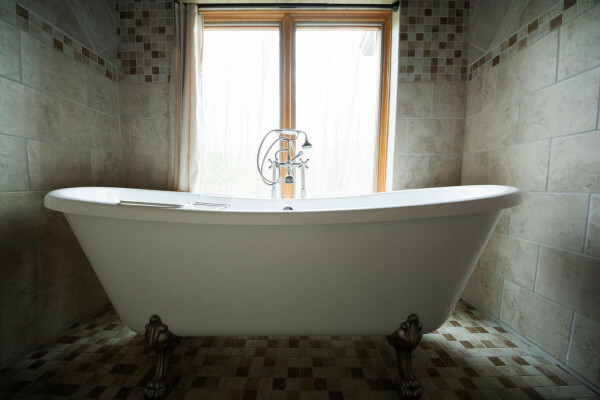 The master bathroom has a pottery pedestal sink, an oversized, claw-foot tub large enough for two and a huge ceiling mounted, rainfall, shower head that feels glorious. 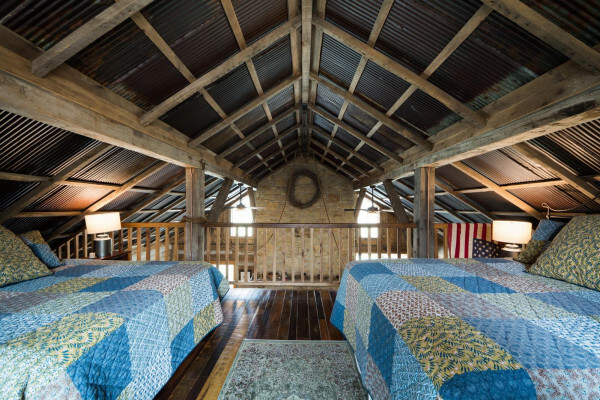 The master bedroom boasts a king sized bed, side tables and wardrobe built entirely from antique barn beams and siding. 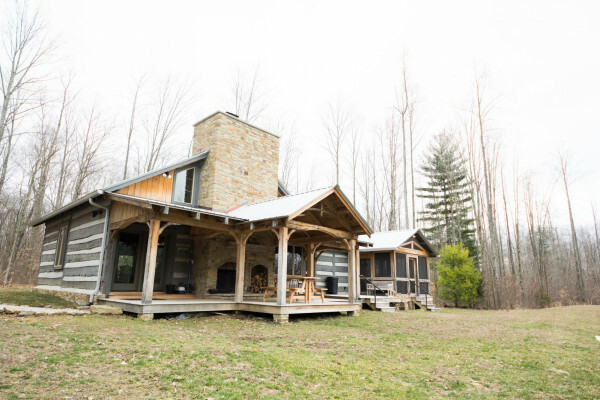 It has its own romantic wood stove and its French doors open to its own private screened porch. 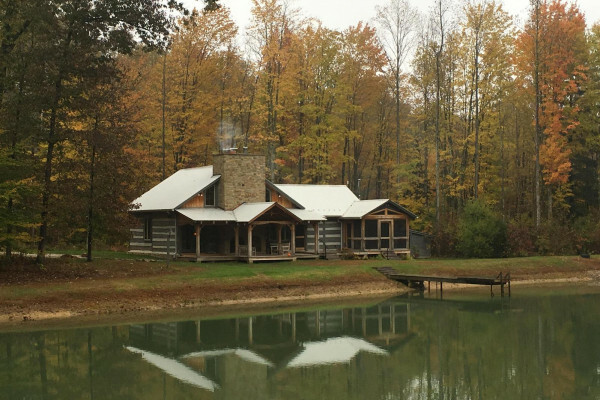 The cabin sits on a serene pond that is full of fish and is great for a summer swim. 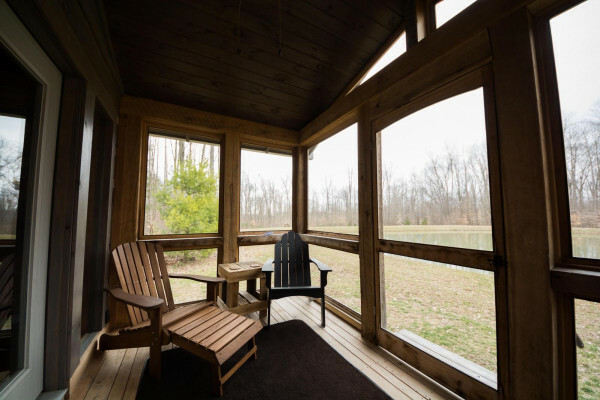 The cabin and pond are surrounded by 30 acres of wood that have several marked hiking trails to enjoy. 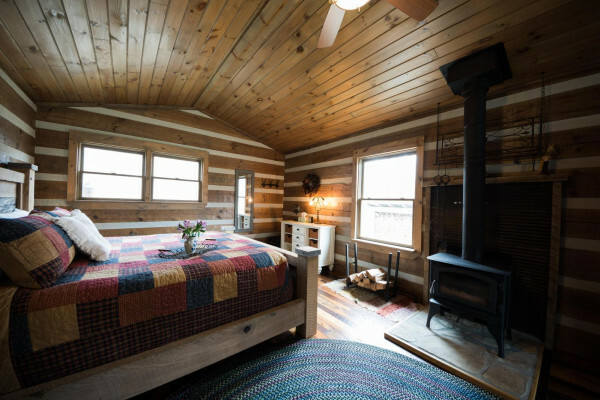 Those who come to Blue Bird Cabin always want to return. Now you might understand why! 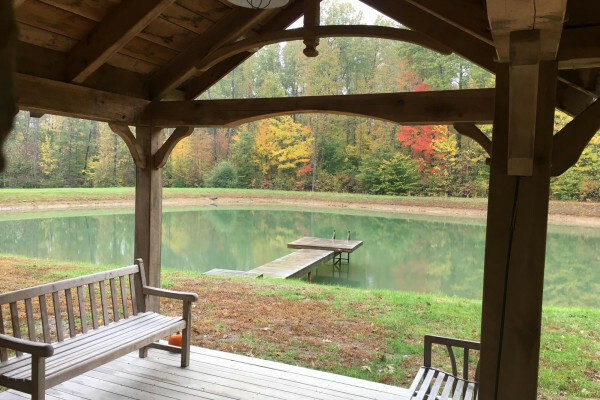 This property has 1 King(s), 2 Queen(s).